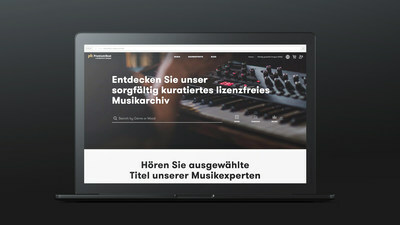 MONTREAL, July 5, 2018 /PRNewswire/ -- PremiumBeat, part of the Shutterstock group of companies (NYSE: SSTK) offering a curated royalty-free music service, today announced the expansion of its platform, PremiumBeat.com, to support a total of 21 languages including Japanese, German, Korean, Portuguese, Spanish and more. In addition to the new site languages, PremiumBeat has also recently expanded its already robust global music selection. The site now features a wider selection of authentic K-Pop, Middle Eastern tracks, and vocals in multiple languages including Italian, French, Portuguese and more. The extensive selection of region-specific music further brings customers' projects to life, giving the project a local feel or by providing universally recognized sounds. Recent popular genres, including Nordic Noir, Russian Pop and Traditional Chinese, are now available to discover in local languages. "Music is its own universal language, understood across the globe. Now with 21 languages on the website and improved search algorithm capability, our popular curated music collection is even more accessible to our customers in every corner of the planet," said GM of Motion at Shutterstock, Sylvain Grande. "This update makes music discovery a more streamlined process as customers around the world are now able to use search filters and other features and make playlists using music terminology they understand and is familiar to them." To see the full list of international tracks, visit the world music collection on PremiumBeat.com and filter by language. Headquartered in New York City, Shutterstock has offices around the world and customers in more than 150 countries. The company also owns Bigstock, a value-oriented stock media agency; Shutterstock Custom, a custom content creation platform; Offset, a high-end image collection; PremiumBeat a curated royalty-free music library; and Rex Features, a premier source of editorial images for the world's media.